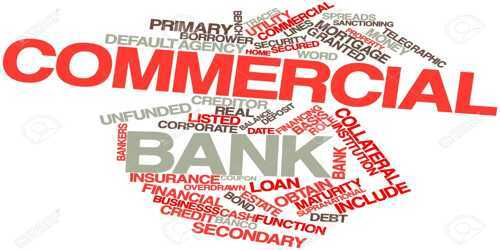 A commercial bank is a type of financial institution that provides services such as accepting deposits, making business loans, and offering basic investment products. The general role of commercial banks is to provide financial services to general public and business and companies, ensuring economic and social stability and sustainable growth of the economy. Public sector bank is a bank in which the government holds a major portion of the shares. Refer to a type of commercial banks that are nationalized by the government of a country. In public sector banks, the major stake is held by the government. In India, public sector banks operate under the guidelines of Reserve Bank of India (RBI), which is the central bank. Some of the Indian public sector banks are State Bank of India (SBI), Corporation Bank, Bank of Baroda, Dena Bank, and Punjab National Bank. Usually, in public sector banks, government holdings are more than 50 percent. Public sector banks are classified into two categories further- 1. Nationalized Banks and 2. State Bank and its Associates. Refer to a kind of commercial banks in which major part of share capital is held by private businesses and individuals. These banks are registered as companies with limited liability. In these banks, most of the equity is owned by private bodies, corporations, institutions or individuals rather than the government. These banks are managed and controlled by private promoters. Some of the Indian private sector banks are Vysya Bank, Industrial Credit and Investment Corporation of India (ICICI) Bank, and Housing Development Finance Corporation (HDFC) Bank. A foreign bank is a bank with the head office outside the country in which it is located. Refer to commercial banks that are headquartered in a foreign country, but operate branches in different countries. Some of the foreign banks operating in India are Hong Kong and Shanghai Banking Corporation (HSBC), Citibank, American Express Bank, Standard & Chartered Bank, and Grindlay’s Bank. In India, since financial reforms of 1991, there is a rapid increase in the number of foreign banks. Commercial banks mark significant importance in the economic development of a country as well as serving the financial requirements of the general public. A bank must have a risk management team.